Cascade Outdoor Design is a Jacksonville, FL based design firm that creates unique and comfortable outdoor living spaces. As passionate, professional designers, Leah Roesler and Mike Farnsworth bring decades of experience and a lifetime of creativity to every project. It is their goal that each design and project Cascade Outdoor Design produces is one which the homeowners absolutely love and will be able to enjoy for years to come. We design anything from landscape projects to full estate overhauls including pools, patios, fire and/or water features, and outdoor kitchens. We not only design spaces that fit a client's individual tastes and budget, but also offer construction management of the project so the homeowner doesn't have to worry about finding contractors or coordinating schedules. We take care of all the details from the time a client decides to update their yard, to the time the last piece of the design is installed, to ensure a stress free experience. Contact us today so we can set up a time to discuss how we can help bring your dreams of a stunning outdoor space to life! Cynthia Burns Landscape Design, Inc.
Cynthia received her education in landscape design from the prestigious Garden Design School. This rigorous program is located in Boston, MA, and is largely co-taught by founders Robin Templar-Williams and Moira Farnham, who are also award-winning international landscape designers. Cynthia has designed and installed projects for both residential and commercial clients. Cynthia's inspiration comes "from the simple elegant beauty which is all around us. Knowing proper design principles and dove-tailing those with the culture of the site, the architecture of the home and the science of proper horticulture is what produces an elegant product!" Cynthia collaborates very closely with her craftspeople-all who maintain uncompromising devotion to their workmanship and end-product. Our top goal for each and every client has to do with the relationship and bond of trust developed...striving for each client being a client for life! We are a full design build company. Your initial free consultation starts with a visit from Kathy Mease to initiate the planning stage of a project. Projects can range in scope from a tiny corner of a yard that needs to be revamped, to entire front and backyard designs which can incorporate pools and patios. Once we have a plan in mind, Kathy Mease starts the design process which utilizes a mix of cad to create a scaled blueprint, and Picture overlay software to help in visualizing specific areas to be designed. (link to design samples) No matter how big or small a project, Kathy will work closely with each client to realize their dream landscape. Finally our team of irrigation, lighting, paving and plant experts will bring the design to life with an installation that is completely supervised by the owner, Kathy Mease. Improve the look of your home with Landscape Design from Julia's Digs in Jacksonville, Florida. Our designs are individualized to your wishes. Julia’s interest in gardening was inspired by her father, and she's planted breathtaking gardens everywhere she has lived. Julia has since built an experienced, detail-oriented team that works quickly and carefully. Customers are always amazed when they look outside and see our work and appreciate our attention to detail. The Best Landscape Design and Installation Company in Jacksonville At an early age, Julia’s interest in gardening was inspired by her father, the late Dr. Ed Canipelli, an award-winning gardener and amateur Landscape Designer who specialized in camellias and roses. With this deep-rooted passion for plants, flowers and the outdoors, Julia continued to expand her knowledge by planting breathtaking gardens at each place she lived. Even as a budding Landscape Designer, Julia's friends began calling upon her talent to help them with designing their own gardens. Her Landscaping Creativity and Attention to Detail continued to grow through the years and her Indigenous Horticulture Landscape Knowledge and Love for plants, flowers, hummingbirds, and water features steadily grew. Her attention to detail, customer service, and especially the teamwork of her crew sets her apart from the competition. At Earth Works, we have been making beautiful outdoor spaces come alive for over 20 years. Whether you need a complete landscape plan designed and installed or simply advice on which perennials would work best in your yard, our experienced design professionals and friendly knowledgeable garden center staff are here to help. Just Terraces offers a blend of set design and landscape design to create lavish thoughtful and joyfully curated outdoor environments that connect our client's interior lifestyle with the outdoors. Award winning Creative Director Christopher Myers brings his entertainment and hospitality background with The Walt Disney Company, Universal Studios, Four Seasons Hotels & Resorts and Starwood Hotels & Resorts directly to each residential client to conceptualize possibilities, realistically design and efficiently manage installation of outdoor environments. Ross Garden and Landscape Design of Jacksonville Florida specializes in detailed landscape design and construction. We provide full project management for the installment of designs using the highest quality landscape materials from Northeast Florida. Provide personalized design service to create a unique garden that expresses the owners taste. Also provide true gardening techniques via hand pruning, landscape updates and bed maintenance. 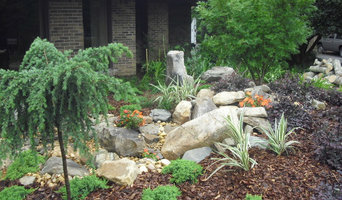 We have a passion for landscape design. Your property becomes a work of art as we open you to possibilities and ideas that will bring stunning curb appeal to your property. Enjoy your residence from the outside-in thanks to Scapes home landscaping design services. There’s no reason to shudder when you stroll up your driveway. Feel embraced by foliage and outdoor accoutrements that match the character of your home. We are the #1 full-service landscape designers Jacksonville, FL has and we also design and install outdoor lighting, pavers, and irrigation systems. The Paul Bryan Group is a landscaping design firm creating outstanding outdoor spaces on Florida’s First Coast. From fire pits and outdoor kitchens to pool landscape and hardscape, The Paul Bryan Group’s designers create landscape and hardscaping options complementing any home style or property shape. Landwise Design provides landscape architecture services to clients seeking prestigious signature designs to complement major renovations and new construction projects throughout Florida and the Florida Keys. Residential design requires balancing client requirements with sensitivity to site character and attention to detail in the built environment. Landwise Design's excellent client-consultant coordination and alert attention to detail produces high quality landscapes and site amenities responsive to client needs. In the Garden Landscape and Design in Jacksonville Beach is a unique offering of exterior services ranging from design to completion. Her ability to think outside the box can be seen throughout the beach and downtown Jacksonville. Louise and her team bring over 25 years of experience. We take pride in identifying your needs and creating a design that reflects your dreams and accommodates your budget. We are both detail-oriented and sensitive to the various budgets of each of our clients. We continue to successfully complete landscape and design projects for residential and commercial clients in Jacksonville, Ponte Vedra, Neptune Beach, Atlantic Beach, and the surrounding area. With decades of design and landscaping experience, James Menge’s botanical expertise combines creative artistry with practical knowledge. Serving residential clients in Northeast Florida since 1974, he has a thorough understanding of the variety of plants that thrive best in this region. Plant selection and placement with a keen eye to varying textures, colors and heights distinguishes his work and creates garden retreats that beckon you to slow down and relax. The work of this outdoor professional includes most everything surrounding a home's exterior. A landscaping architect can even work with the home architect to choose the right spot for your Jacksonville, FL house. 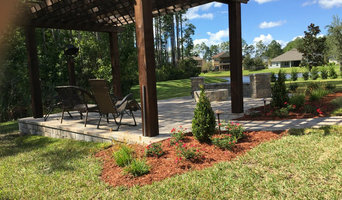 From there the Jacksonville landscaper will develop preliminary concepts for your front or backyard design based on individual needs including the climate and activities that will take place, as well as layouts and planting plans. Landscape architects will also design any structures or outbuildings that will be added to the space. Any grading changes that will be added to the yard are also the responsibility of the architect. This includes any drainage modifications. An engineer can also be responsible for these tasks, but licensed Florida landscapers are fully capable. Like building architects, they will produce preliminary concept drawings as well as detailed construction documents and planting plans. Three-dimensional renderings and illustrative plans are all supplementary. A Jacksonville landscaping designer generally will have ecological, aesthetic and technical training, which helps them maximize the potential of your outdoor space. Keeping in mind both style and functionality, garden designers analyze your architecture and yard to produce a plan that may or may not include location and materials for walkways, patios, water features, fences, garden aspects and more. In addition, a landscaper in Jacksonville, FL will carefully assess your geographic region to choose plants, trees and flowers that will flourish naturally, as well as address concerns such as drainage, screening and soil conditions. Certain landscape designers only help with the planning portion, while some may deliver the plans and then oversee a hired landscaping contractor. Others — typically following a design-build approach — take care of both the design and all aspects of the landscape architecture and construction. Before you hire a Florida professional landscaper, consider the scope and emphasis of your outdoor project. Landscape architects, who typically hold advanced degrees in their field, are trained to develop comprehensive structural plans that include plants, hardscaping, water use, drainage and more. Landscape designers typically specialize in the aesthetic and horticultural, rather than structural, side of yard and garden planning. They might or might not have advanced training. Even within their fields, a garden designer may specialize in hardscape- or vegetation-focused designs. In some cases you might need to hire additional help to get the outdoor space you want. Here are some related professionals and vendors to complement the work of landscape designers: . Find a Jacksonville landscape architect on Houzz. 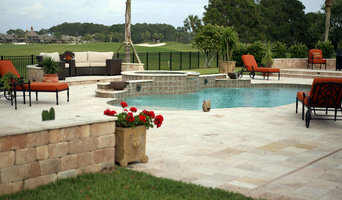 Narrow your search in the Professionals section of the website to Jacksonville, FL landscape architects and designers. You can also look through Jacksonville, FL photos to find a space you like, then contact the professional who posted the photo.